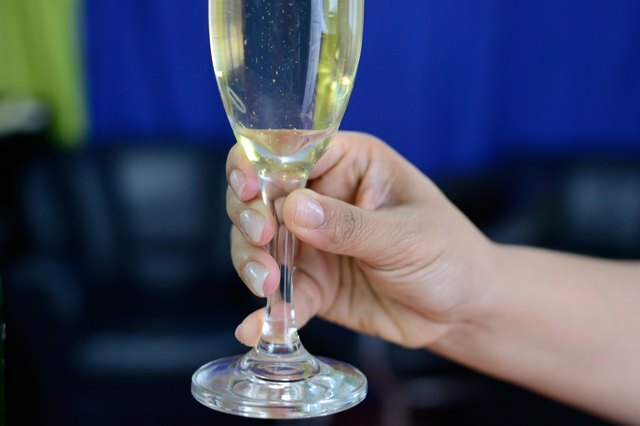 Prescribed rules for holding a champagne flute might seem pretentious or snobbish, but following proper procedure actually helps improve your enjoyment of the champagne. 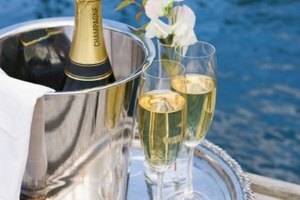 Champagne and sparkling wine taste best when served chilled. 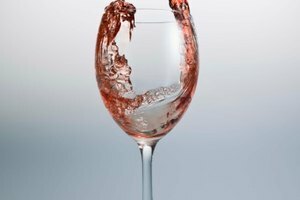 But if you wrap your fist around the bowl portion of the champagne flute, your body temperature increases the wine temperature and affects flavor. When held by the stem, the champagne stays cold longer, the bowl stays fingerprint free, and the champagne bubbles are easily visible through the glass. Fill each champagne flute three-fourths full of chilled champagne. 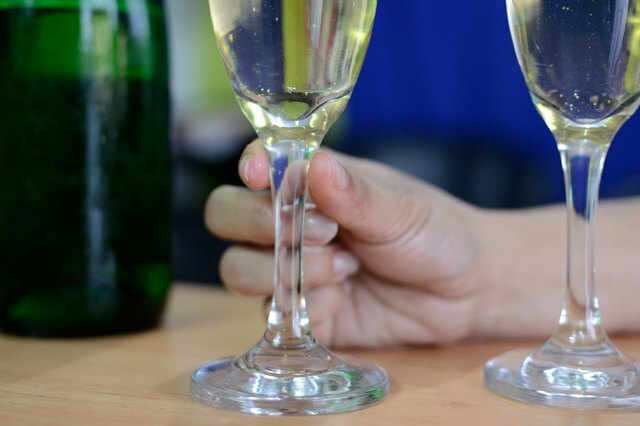 It helps to pour a finger width or two of champagne and let the bubbles settle before filling the rest of the way. 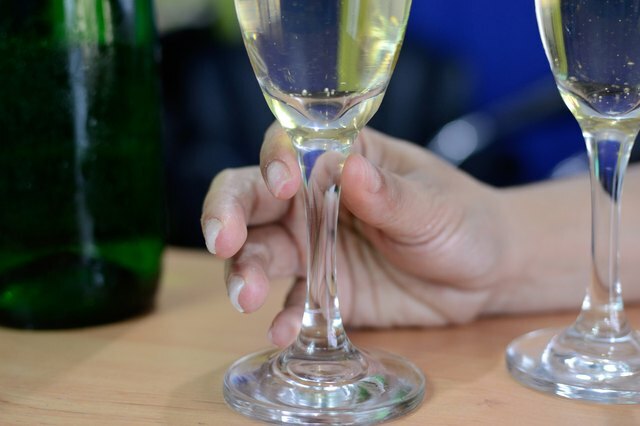 Pinch the champagne flute stem between your thumb and forefinger in the pinch zone just beneath the base of the bowl. 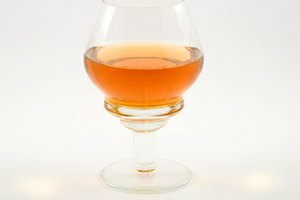 Rest your pinky finger on the stem just above the base to help steady the glass. Lift the flute to check for balance. Adjust your thumb and forefinger along the stem until the drink balances well in your hand. Rest the pads of your middle and ring fingers on the stem for additional balance, if needed. This might be necessary if you tend to drink champagne slowly. The flute might become uncomfortable after holding it for extended periods, making it more comfortable to close your fist around the stem. 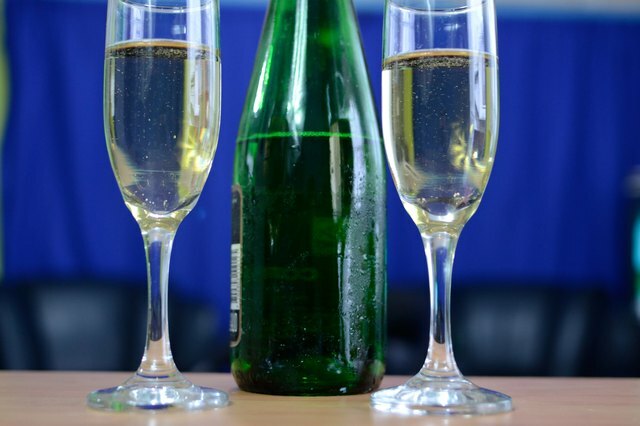 Chill the unopened champagne bottle on ice for at least 15 minutes or in the refrigerator for a few hours before serving. 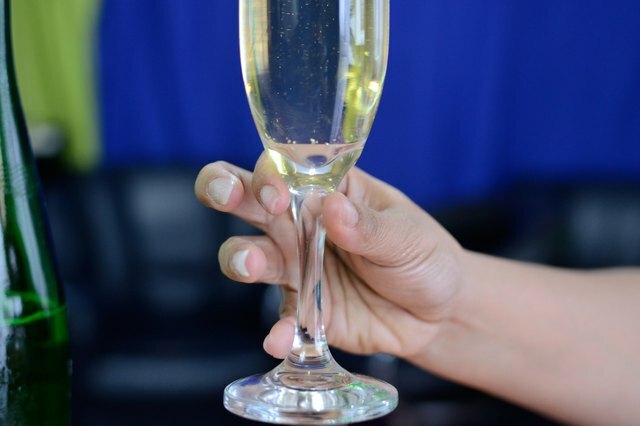 While the champagne chills, place the champagne flutes in the refrigerator or freezer to chill the glass. A chilled glass helps keep the champagne cold after serving. 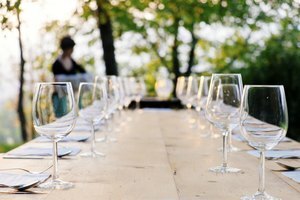 Local Wine Events: Hold Your Glass to Say "Cheers" ... and "How!" News OK: 20-40-60 Etiquette: How Do You Hold a Wine Glass? Cup?